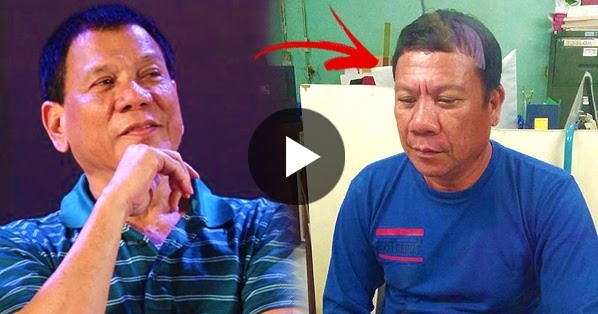 Nations Press feature news LOOK: Pres.Duterte kalokalike! May kinatatakutan?? Alamin! LOOK: Pres.Duterte kalokalike! May kinatatakutan?? Alamin! SPONSORED LINKS A Photo of a man named Cresencio Estremos 53 years-old and currently working at City Hall of Manticao, Misamis Oriental goes viral . His photo which is closely similar to our beloved President Rodrigo Duterte makes him famous. But aside from the fame he had right now, his biggest problem is his safety that he might be killed because of some threats to our President. Undeniably Pres. Duterte have a lot of enemies specifically those who are involved in Illegal drugs and other syndicates. Aside from his looks he acts like our President as well, his co-workers rate him to be 80-90% chance that you might got mistaken.